Coral is one of the leading sports and casino firms today. With a tasty welcome bonus to their many promotion offers, Coral are holding there own against the other big players of the bookmaking world. 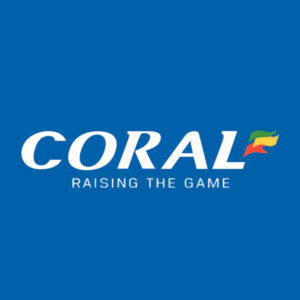 By Coral sponsoring major horse races in the UK and Irish racing calendar with the likes of The Coral Welsh National and The Coral Eclipse to name but two. Now let’s see if they put the same work into their sportsbook and casino as they do the sponsorship. New customers to Coral will be offered a welcome promotion, bet £5 win or £5 each way as your first bet and coral will give you £20 of free bonus bets. The bonus bet will be credited to your account as 4x £5 in free bonus bets. If you register and do not place a bet right away, then you will have 14 days of the time of you signing up to Coral to claim your welcome bonus. Free bets are not valid on Football Jackpot, tote, Other Combination and Multiple Bets (i.e. Lucky 15s). If you do not use your free bonus bets within 7 days, then the free bonus bets will become invalid and be taking from your account. Place a football accumulator of 4+ team at odds no less the 1/10, and Coral will give you a 10% bonus of up to £100. Your selections in your accumulator must be placed pre-match and add up to a minimum of 6/4 to avail of this offer. Any bonus bets cannot be used against this promotion, while your minimum stake must be £2 or greater. If you bet is successful, then your 10% bonus will be paid in a bonus bet, not cash, this will not affect your winning stake before the 10% bonus kicks in. This fast-growing feature allows you to make your own bet. Simply select the game you want that offers Build Your Bet and go nuts. You choose how you want to bet, for example, choose your first goal scorer, how many corners for each team and how many goals. Put them all together and watch the odds grow. This is a great chance to win big for a small wager while sitting back enjoying a top quality game. Get a £10 free bet every Friday by betting £25 a week on Corals sports book. You can bet across all off the sports book to make up the required £25. Be it an accumulator or a single bet, each leg or single but must be of odds of EVENS or greater. Coral have set on an example of how you can make up to the required £25. Have a bet you want but can’t find a price for it? If so, then simply tweet @Coral with the #YourCall, and Coral will give you a price on you requested selections. As expected, Coral have all basis cover with their endless markets. From football to goal, hurling to hockey, its all cover. All individual markets have all their specific inner markets that will make sure that every bet that you will to do is covered. Corals in play betting is of a high standard and speck. All kind of in play bets are covered for all live sport, from handicap betting, in running betting and so on. The quality and wide range of in play markets are sure to be up to every customer liking. Coral provide live streaming for all UK and Ireland racing, along with live coverage of all La Liga matches. This provides you with the opportunity to have a bet on a horse race or a La Liga match, and not miss a hoof beat of any race or a goal from the next El Classico. Coral have 4 top quality bloggers providing you with their expert view and opinion. Former Newcastle and England International Alan Shearer provides you with all his thoughts on all things football. Former Champion flat jockey and current retained jockey for Al Maktoum, Jim Crowley will lens his expert eye on all things flat racing. From a Monday night at Windsor to Royal Ascot, Jim will provide you with great insight into his rides and other horse for the week/weekends racing. Former Grade 1 winning jockey and now assistant trainer to his dad Colin, who recently had their greatest day on the track by training the 2018 Gold Cup Winner in Native River. Joe provides you will valuable information about there runners of the week ahead, and the plans for their flag ship horses like Native River, Thistlecrack and many more. King George and Cheltenham Festival winning jockey Tom Scudamore, who is associated with some of the leading horses for the jumps season gives his view on what horses to follow and his view on his upcoming rides. All these blogs with highly respected people of their sport will provide you with answers to some questions that you might have about the weeks football and horse racing. Coral have acquired four very good bloggers in Alan, Jim, Joe and Tom. You will also find articles on all the latest sporting news and gossip on Corals News & Blogs section. Coral TV provides video interviews and debates on some of the top sporting new and events that are up coming. Coral have no end of markets for the fast-growing phenomenon that is eSport. Coral provides you with, match betting, selected markets and in play markets. Stake £10+ on any qualifying casino or slots game, you will then the £30 worth of a welcome bonus. The £30 welcome bonus is broke down as follows. £10 in bonus stake, £10 in free spins and £10 worth of golden chips. The free bonus stakes can only be used on selected games. These can be found in the terms and conditions of the offer. Coral Casino provide all your favourite casino games, from roulette, blackjack, slots to table games, Coral has it covered. Once on the home page, you will then find icons to jackpot games and bonus games that will provide you with the chance to win big. Coral have a VIP club where all their loyal customers can avail of special offers with the likes of, hospitality events, priority customer service and much more. The leave of offers you get all depends on which level you have achieved with your Coral Casino Points. Corals fast and easy to use mobile app provides you will everything the desktop version has, from live streaming to in play betting, its all there for you with a tap of your finger. Be it your first time using the mobile app, or you are a regular user, the app provides an easy system and set up for all to get used to extremely quick. Coral app is available on android and iOS devices. Coral Interactive is Licensed by the Government of Gibralta and Regulated by the Gibraltar Gambling Commissioner. There is a help section accessible from all pages at Coral to get you answers to the most frequently asked questions. You will probably find everything you need in this extensive database of answers. Even if you go to their Contact Us link you will answer questions in a drop-down menu to get customized answers, so you will mostly be dealing with online resolutions which is accessible 24/7 of course. If you do need some support, you can contact Coral through their live-in play chat on the screen or simply pick up the phone and call their online support number. Email Available through the contact us icon located at the top right of any Coral page. Coral reliability is of a high standard. Its quality set up is backed up with its reliable and fast sportsbook and mobile platform. All in all, Coral does it all to keep you betting experience enjoyable with-it reliable platform and customer service. Coral sportsbook and casino are exactly what you expect from one of the leading online bookmakers, fast, efficient and high-quality markets. 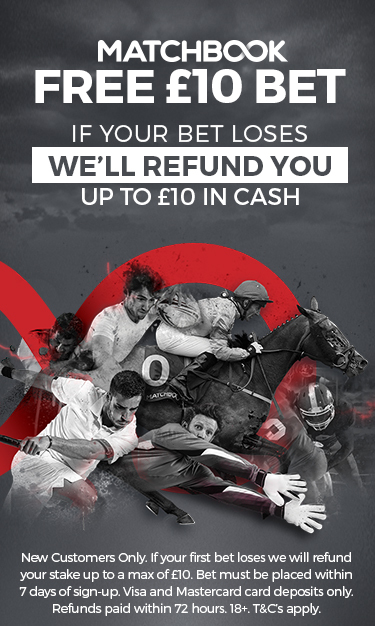 Along with the bonus of live streaming of all UK and Irish racing and La Liga games, Coral lets no stone unturned to bring their sportsbooks and casino plays a high-quality betting experience.